DISRUPT is an information exchange designed to energize, inform and empower people in the HR field. Events are hosted worldwide from Montreal to Sydney to Cape Town. 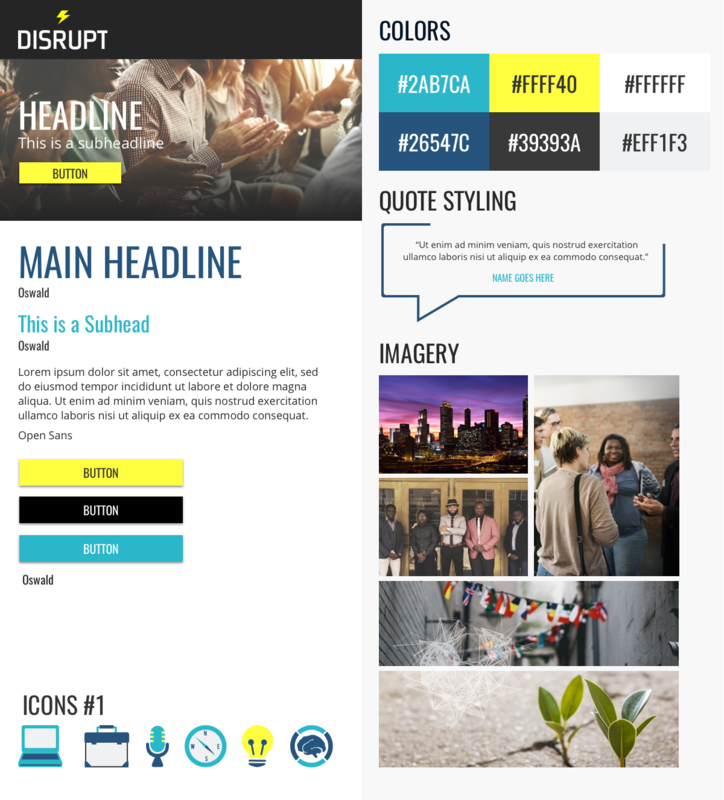 DisruptHR needed a new website to better showcase their brand. To better fit with their innovative and ‘disruptive’ mission, we set out to create a striking brand, an original design and a seamless layout. We highlighted the Events, Videos and Blogs on the new DisrupHR website. We created a custom map where users can explore DisruptHR communities on an interactive map. We created a custom search field for over 1500 videos, and proudly displayed their thought leadership on the blog. 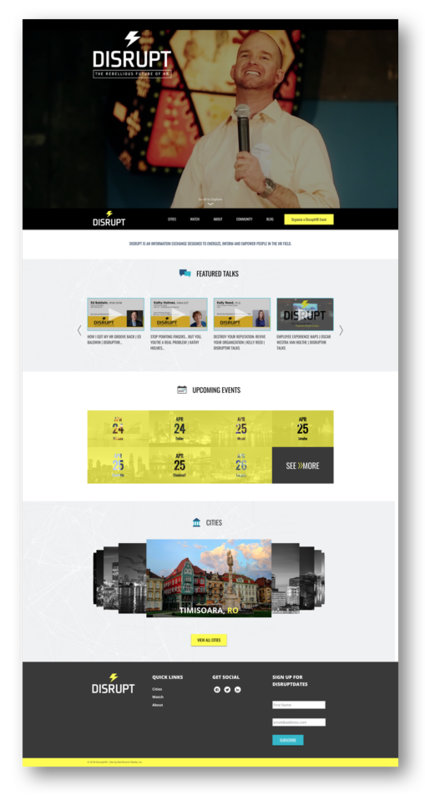 The new website will help spread the word on the great work DisruptHR is doing while attracting new conference organizers. Every company has their own work culture and environment, and we strive to help you identify employees who will excel in your company’s unique atmosphere.